Thinking of heading to Colombia’s Caribbean coast for the rip-roaring Carnaval? Read this handy first timer’s guide to prepare for the party. You can’t escape the beat. It permeates every street corner, every shop, and every footstep. From the taxi drivers tapping their fingers on the steering wheel as they weave through traffic, to the hotel clerks salsa-stepping as they transport bags for the tourists – the silent music hums just beneath the surface of Barranquilla, Colombia. This modern city sprawls along the delta of the Magdalena River, a few miles shy of the Caribbean coast. Renowned as an industrial giant, Colombia’s fourth largest city is also home of the Carnaval de Barranquilla, a four day festival second only to Rio’s legendary bash of the same name. I’d come to the Carnaval with little knowledge of what to expect. The rumours spoke of colourful costumes, hip-shaking music, and scantily clad dancers, along with unrivaled partying, fueled by good vibrations and litres of free flowing rum. But I quickly found the festival isn’t just an excuse to drink booze and “foam” unsuspecting strangers in the crowd. There’s a spiritual and cultural dimension as well. Held four days before Ash Wednesday, the Carnaval is the last opportunity for the predominantly Catholic population to indulge before Lent. While the exact date of the first festival is unknown, many believe the traditional started as early as 1888. 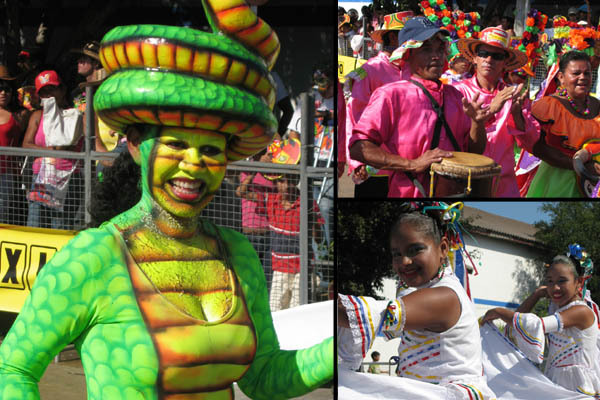 Perhaps even more significant, the Carnaval de Barranquilla is a celebration of the three cultures that dominate the Colombian coast: Spanish, Native, and African. Each group participates in the festival through traditional song, lavish dancing, and intricate costumes. In 2003, UNESCO honoured the Carnaval by adding it to the ranks of Masterpieces of the Oral and Intangible Heritage of Humanity. Interested in joining the throngs of revelers yourself? 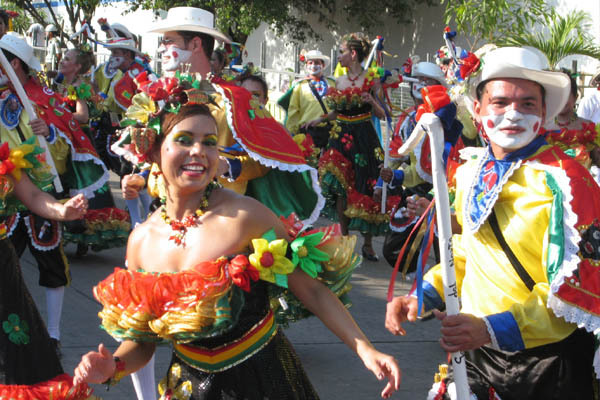 Read on for the definitive first timer’s guide to the Barranquilla Carnaval. While it’s possible to fly directly to Barranquilla from a few destinations outside Colombia, it’s more likely you’ll arrive via Bogota. Avianca airlines offers relatively cheap flights from the capital. Or for the more adventurous, the bus is a much cheaper alternative. Barranquilla’s weather is hot and humid. Unfortunately the main parade route offers little shade unless you buy your way into a private section. Either way, make sure you bring a hat, or buy a traditional sombrero vueltiao (twisted hat) from the numerous vendors roaming the grounds. The main parades are held on Via 40, a relatively bland avenue that is unfortunately the only place in the city to accommodate the estimated 550,000 paraders that dance, jig, twitch, and sashay their way past thousands of viewers crowding the edges of the route. The route is broken up into sections, each rented out by different companies and hotels. This means you generally need a ticket to score a good seat for the action. Theoretically, you could just show up and fight with the masses for the few available “public” areas – but be prepared for a battle. Outlined below are the main events of the Carnaval. Keep in mind these are only a small portion of the entire festival – in the weeks leading up to the show, the entire city is awash with mini parades, concerts, and impromptu dance parties. No matter where you are in the city, chances are you’ll find a crowd having a good time. This is the big show. Thousands of participants kick off the Carnaval with a bang, interspersed with massive floats hooked to ear-splitting sound systems. Musicians, dancers, costumes, and (some say unfortunately) corporate sponsors are on display, rousing the crowd and pushing the party to new heights. Slightly toned down from the first day, La Gran Parada is dedicated to the dancers. 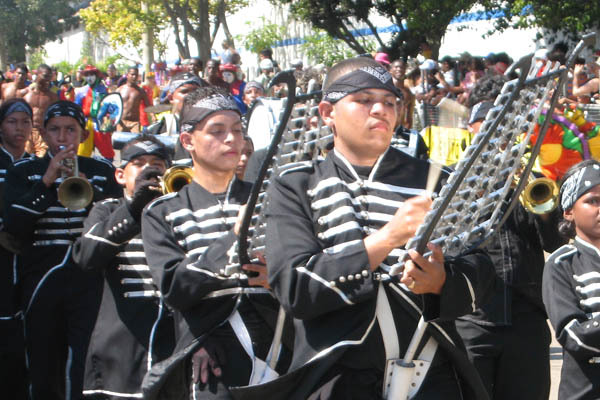 Scores of troupes perform traditional dances like cumbia, congo, and paloteo, competing against each other for the coveted prize of gaining the honour of performing in La Batalla de Flores the following year. Costumes and musicians also abound, with the floats noticeably absent from the previous day. A cacophony of Caribbean music groups. El Festival de Orquestas showcases the variety of musical influences that make up Colombia’s coast – all guaranteed to keep your feet moving and hips swinging. 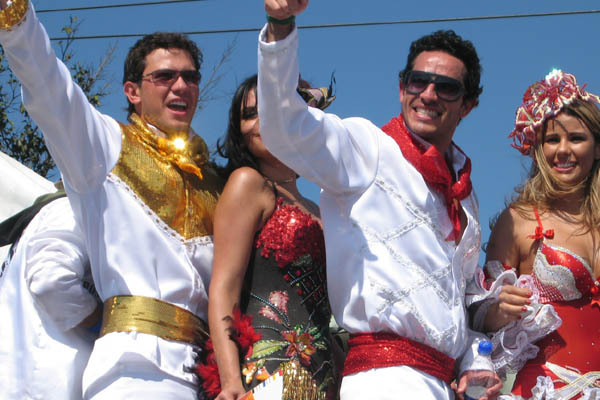 The end of the Carnaval is symbolically closed with the “death of Joselito.” Numerous groups of participants pick a person to play dead, while the rest of them wail and weep down the parade route. Like all good things, even the partying must come to an end. Chances are, you’ll want to find a nice quiet chill out spot to recover from the festivities. I suggest the idyllic fishing village of Taganga, only 4 hours away by bus.